Greensboro attorney S. Camille Payton of Ward Black Law was recently elected Board Chair of Legal Aid of North Carolina for a two-year term. Legal Aid of North Carolina is the largest non-profit law firm in the state, providing free legal service to individuals with low income. Legal Aid also protects victims of domestic violence. Payton has previously chaired the North Carolina Bar Association’s Workers’ Compensation section with more than 500 attorney members from across the state. She also served as an editor for the North Carolina Workers Compensation Forms Manual, a publication which is widely used by Workers Compensation attorneys in every county in North Carolina. Payton has been practicing law since 1993. 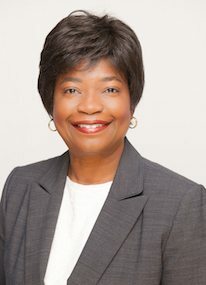 A native of Kinston, North Carolina, she graduated from UNC-Chapel Hill and the University of Texas School of Law before practicing law in Greensboro. Payton focuses her practice at Ward Black Law in representing workers who have been injured on the job.